All TvT products are hand-crafted by myself. products are "Order-Making". The number of production days is uncertain. You can ask us before placing your order. Please wait patiently, we will definitely present you with the most satisfactory products. Just wear a paragraph. Time to wash your hands and bathe will gradually wash away, the color will be more and more bright! 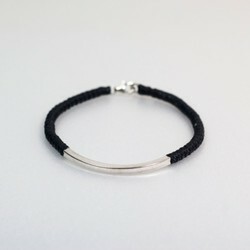 ▲ with a variety of hand-made string with 925 silver jewelry, creating unique, colorful jewelry. >>> Product Image 5 is a customizable color. ※This style can create "monochrome" or "bicolor". 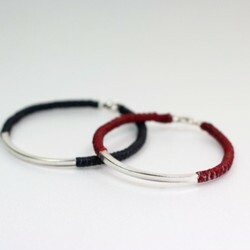 ▲ Please remember to note that you want after ordering The color and making length. ▲TvT's products are all part of the order, and they are all created/shipped according to the “order date” after the customer orders are confirmed. 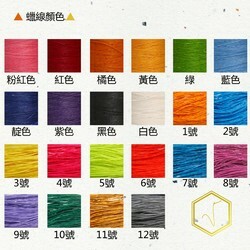 ▲TvT will only be considered as a valid order once you have completed the transfer or placed an order with color matching. ▲ Each user's computer screen display settings are different, so there will be differences in color. If you have any questions about color, please contact the designer. example Say: Triangle's hand is 15 centimeters (it's just good size) with a tape measure, so the size given to us is 15cm. ▲ Reminder: When you tell us the size, please be sure to "exactly". Just give us a piece of data, and don't give us information on "14 or 14.5" because we don't know exactly what to do. 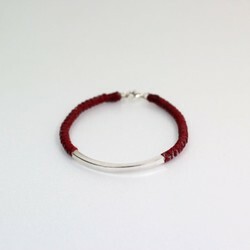 ▲ Material: wax rope / sterling silver square tube (diameter 3.5CM) / 925 sterling silver clasp. ▲ Use and Maintenance: You can take a bath. If you touch the water for a long time, it will fade. If you are afraid of discoloration, you can remove it before bathing. 出品数 7,201,572 点 © 2019 Creema, Inc.